January 3rd, 2010 05:19 AM | by William Bell | Armageddon. 24 Hours to Armageddon? No, this is not a prophecy about an imminent end. However, the Mayan 2012 prophecy is getting a lot of press. A History Channel special begins tonight revealing the sources of the mysterious 2012 date from the Mayan Calendar, Merlin of the medieval times and even the internet. Now that latter one has to take you aback just a bit. Searches on the internet about the end reveals the date 2012! That makes it true, right? Wrong! The best we may get from 2012 are some self-fulfilling prophecies. Perhaps this is a code date that will prompt a preemptive strike on Iran, the new “scape goat” demanded to justify 21st century colonialist Palestinian holocaust in the Middle East. Christian Zionism, a blend of right-wing extremist politics and racism disguised as religion continues its support of Zionism’s destructive holocaust of the indigenous people of Palestine whose land they stole and have maintained by force for over three score years. Dispensationalism, Darwinism, Zionism, Colonialism and racism flow from common streams. The people under attack are labeled as terrorists especially if they speak out or fight back. Why are the indigenous people who fight to keep their land and resources from invaders always labeled as terrorists? Si Tanka Spotted Elk (Chief Big Foot) of the Lakota Sioux tribe was labeled a terrorist by the American government until he and hundreds of innocent women and children were gunned down and their bodies left frozen in the open plains. Sitting Bull was also considered a terrorist until so much of their land was taken and his people destroyed that he had to return from Canada from which he sought refuge just to survive. 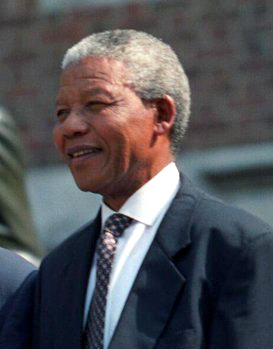 Nobel Peace Prize Winner and former ANC president Nelson Mandela was yet on the USA’s terrorist’s list at age 89 in 2008 for his fight for freedom and resistance to Apartheid in South Africa. But, let’s look at some Bible characters who were on the government’s terrorist’s lists. First up is Moses! Why? He killed an Egyptian who colonized, enslaved and committed crimes against humanity involving his brethren by beating them as they worked. It took 10 plagues of divine intervention including that of killing all of Egypt’s firstborn before Pharaoh reluctantly confessed to his crimes against humanity. In April 2009, Australia, Canada, Germany, Israel, Italy, the Netherlands, New Zealand, Poland, and the United States boycotted the Durban Review Conference, the official name of the United Nations World Conference Against Racism, (WCAR), The Czech Republic walked out after one day, and the twenty three European countries sent low-level delegates. But here is an interesting twist. The boycotting nations complained that homosexuality, Zionism (falsely labeled as Anti-Semitism), and restrictions against “freedom of speech” interpreted as “blasphemy“ against Zionism failed to make the agenda. In other words, the boycotting nations did protest about the American Indians holocaust, the African American holocaust both of which lasted hundreds of years involving crimes against humanity of enslaving, killing and discrimination. Add to these Apartheid in South Africa and the present Palestinian holocaust, all of which out lasted the 6 year holocaust of European Jews in Germany. Could you imagine, Jesus and Paul boycotting a conference because homosexuality and Zionism failed to make the agenda!?! Is this the “Christian Zionists” agenda? David, defeated Goliath and became number one on King Saul’s terrorist’s list. Yet when an opportunity arose to kill the king in his sleep, David merely cut off the corner of his robe and left him snoring until he called to wake up the king. Afterward he became overwhelmed with remorse, (1 Sam. 24:5-6). The ancient Israeli government labeled Jesus as a terrorist whom they falsely charged with blasphemy and insurrection worthy of capital punishment. Why, because he rejected the political nationalist Zionism of the first century Jews (John 6:15). Not only that, he denounced their claim to the land and promised to wipe them off of it at his coming in A.D. 70, (Matt. 21:33-45) through the same Roman government they used to put him to death, (Lk. 21:20-22). Those first century Zionists acknowledged, “His blood be on us and on our children,” (Matt. 27:25) and so it was. Like their first century counterparts, “Zionists and Dispensationalist Christian Zionist supporters say “Palestinians blood be on us and our children”! Only they don’t stop there. They’d like to sprinkle some Iranian blood on their “human sacrifices” as well. Were Jesus physically alive on earth today, he would be America’s and Israel’s most outspoken critic earning his place on their terrorist lists as well. Jesus rejected Dispsensationalism, i.e. a physical kingdom on earth (John 6:15). That means he rejected the land as an inheritance to ancient Zionist Israel. For this reason, Dispensationalists would regard Christ as a terrorist also! Now let’s take a look at brother Stephen’s “freedom of speech.” First off, he denounced the temple in Jerusalem as God’s holy place, words he got from Jesus Christ! They charged him with anti-Zionism (read blasphemy). “They also set up false witnesses who said, “this man does not cease to speak blasphemous words against this holy place and the law; for we have heard him say that this Jesus of Nazareth will destroy this place and change the customs which Moses delivered to us,” (Acts 6:13-14). Stephen, inspired by the Holy Spirit, had no delusions about political Zionism. He was not a “Christian Zionist” nor card-carrying member of CUFI (Christians United for Zionism). He said God did not dwell in temples made with men’s hands, (Acts 7:48) and charged the Zionists as hard-hearted stiff-necked murderers. How did the Zionists respond to these “crimes against humanity”? Just like the nations who walked out of the Durban 2009 conference. They stopped their ears, (resisted his freedom of speech against Zionism labeling him anti-Semitic) and kept right on committing crimes against humanity. “They cast him out of the city and stoned him to death as he watched Jesus in the heavens who encouraged him. Are Kindergartens in Palestine Terrorists Institutions? According to South African representatives of the Academic Campaign for Boycotting Israel, the IDF reportedly bombed 6 Palestinian Universities, over 1500 high schools and a number of kindergartens. Are these Jell-O pudding eating kindergarten kids on the terrorist list? It is well known that Marcus Garvey, Malcom X and Dr. Martin Luther King Jr, made J. Edgar Hoover’s terrorist list. Blacks have been on the USA’s terrorist list since the first slave ship arrived. Blacks are labeled terrorists for driving while being Black, walking in the “wrong” neighborhood hood while being Black, whistling while being Black, organizing while being Black, getting an education while being Black, increasing in population while being Black and for being Black while being Black. It’s nothing new in the Black community in America. It comes with the territory. It will be interesting to see if the History Channel turns to the history of the first century or whether they ignore history and join the prophetic speculation of futurists and Dispensationalist interpreters as their guideposts to signs of the end times. Perhaps they could take a note or two from some well known terrorists who had first hand evidence, –Jesus, Stephen and John (Revelation) who taught that Armageddon lies buried in past history, namely that of the Roman invasion of Judea, the destruction of its temple, and God’s permanent removal of its priesthood and land. « Did Zephaniah Read the Mayan 2012 Prophecy?